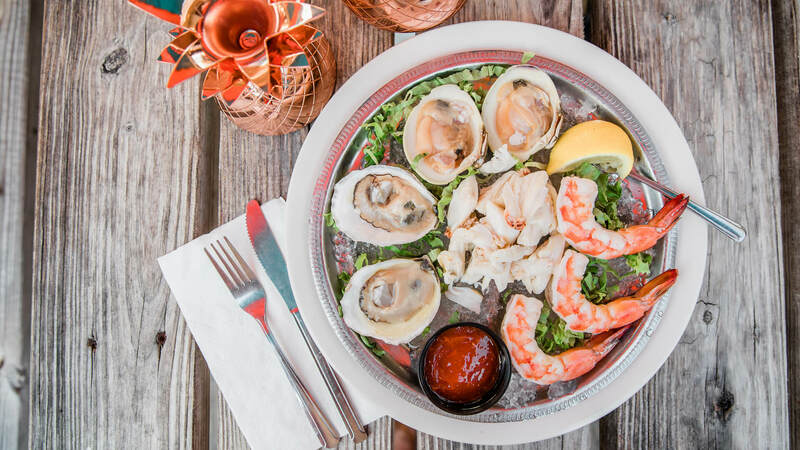 Whether you're in the mood for casual beach fare or elegant original fine dining, there is a Cape May restaurant for every taste. 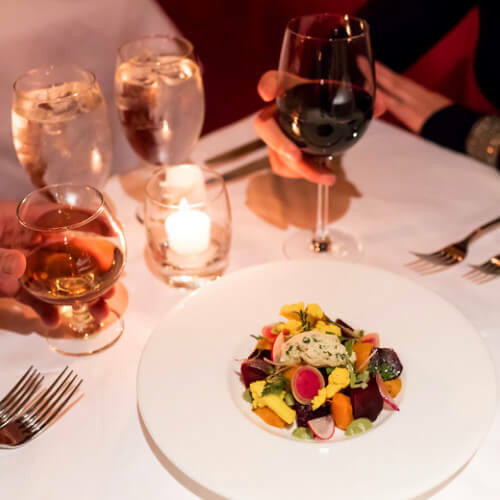 Indulge in the exquisite with a romantic dinner for two in the Ebbitt Room. 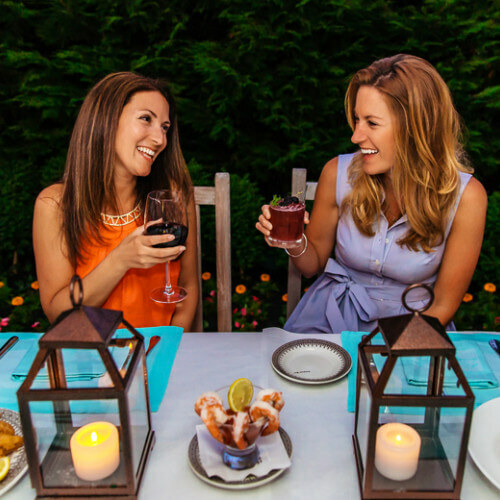 Or bring the family and sit under the stars while savoring fresh seasonal selections at The Blue Pig Tavern. 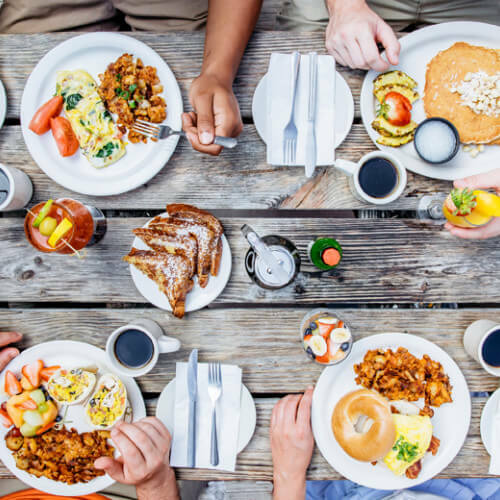 Farm to Table, fast and fresh, grab and go, you will find something to satisfy your every craving at one of our local restaurants. 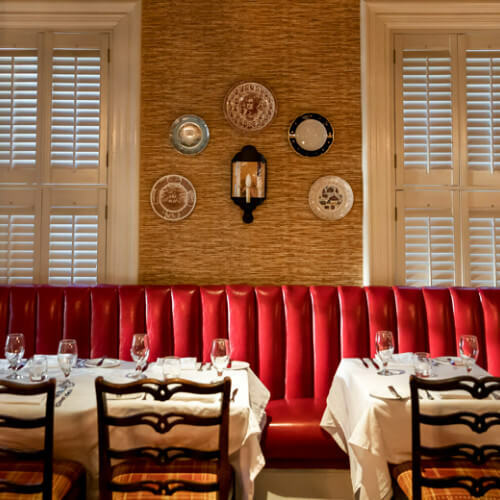 Tucked in the corner of Congress Hall, the Blue Pig Tavern is a Cape May dining favorite. 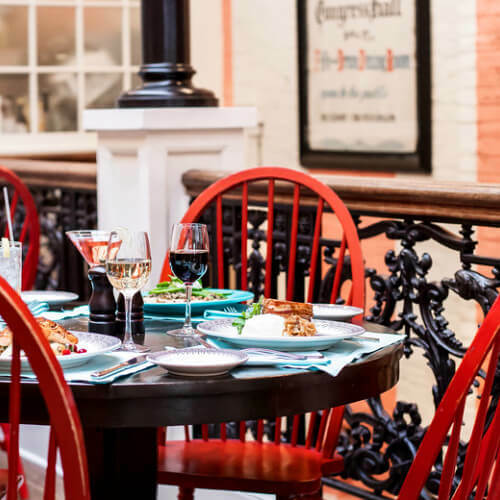 Join us for breakfast, lunch and dinner in cozy spaces named after the hotel’s nineteenth-century gambling parlor. 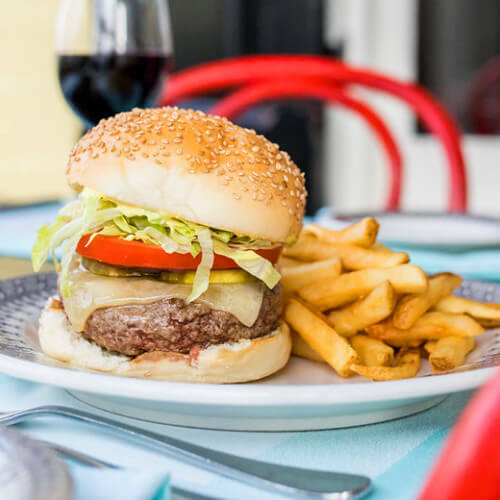 There’s no better place to enjoy American classics. Our menu includes delicious farm-to-table delights featuring fresh produce, herbs, and eggs from our very own Beach Plum Farm. 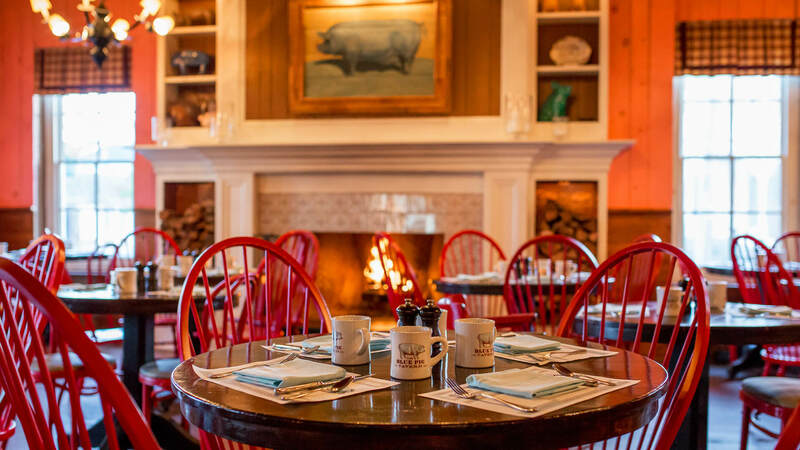 The homespun atmosphere at the Blue Pig is unparalleled. 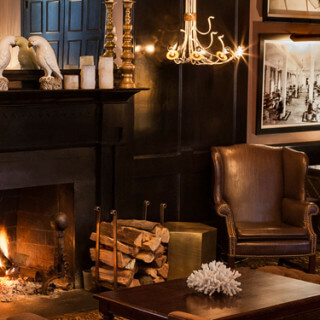 Dine on our secluded patio in the warmer months, or cozy up to our dining room fireplace when temperatures start to cool. 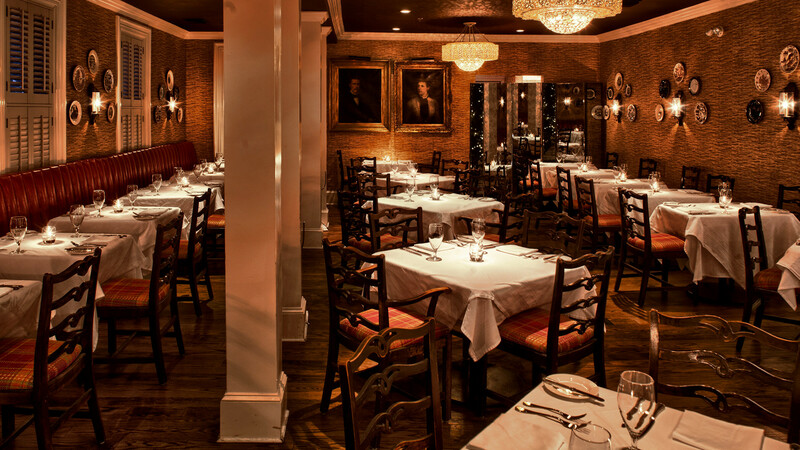 Discover the Ebbitt Room, our renowned fine-dining restaurant in the heart of Cape May’s historic district. 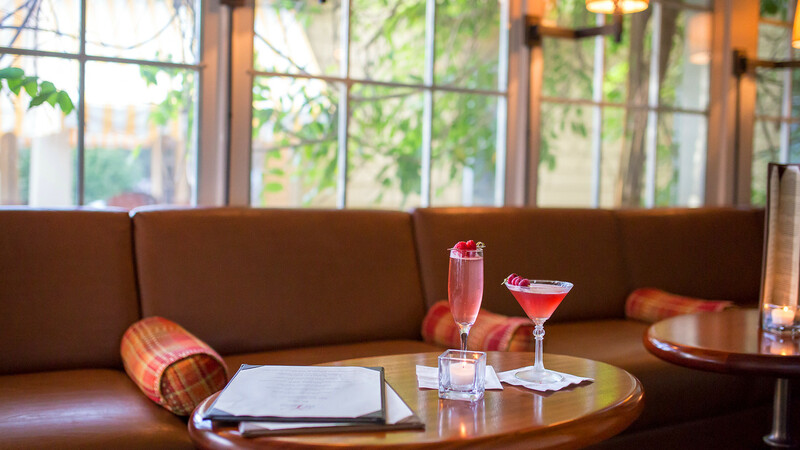 Firmly rooted in farm-to-table, farm-to-glass philosophy, each plate and cocktail is crafted with the utmost care. 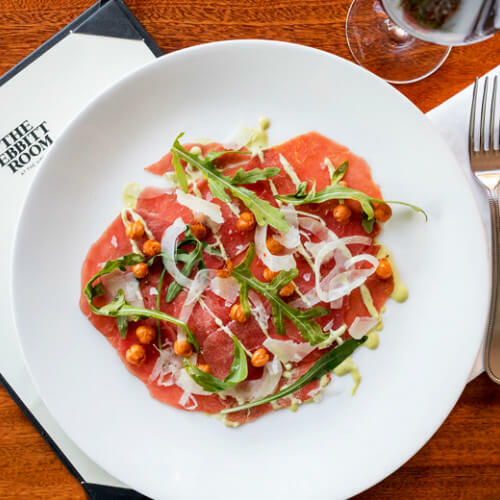 The menu features hand-picked ingredients sourced from our 62-acre Beach Plum Farm, located just miles away in West Cape May. Ever changing, our selection is tailored to the season. 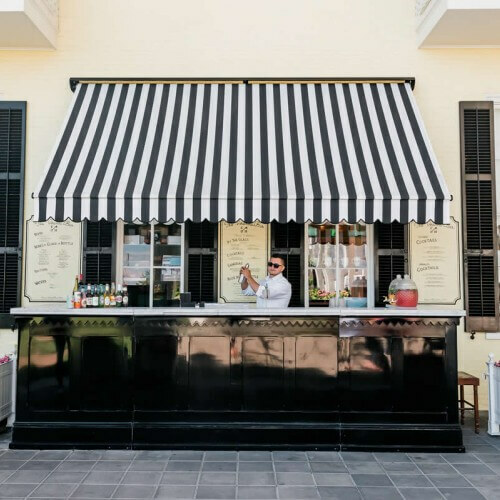 Begin the evening over drinks and small plates on the tree-lined front porch, followed by a meal by candlelight inside as cocktail piano underscores conversation. 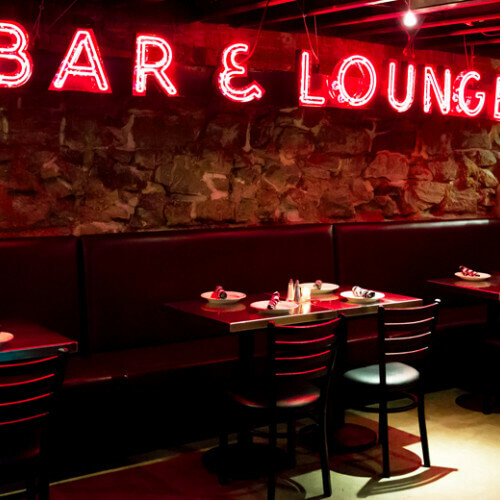 Head down to the Boiler Room, Congress Hall's unique underground music club and pizzeria. 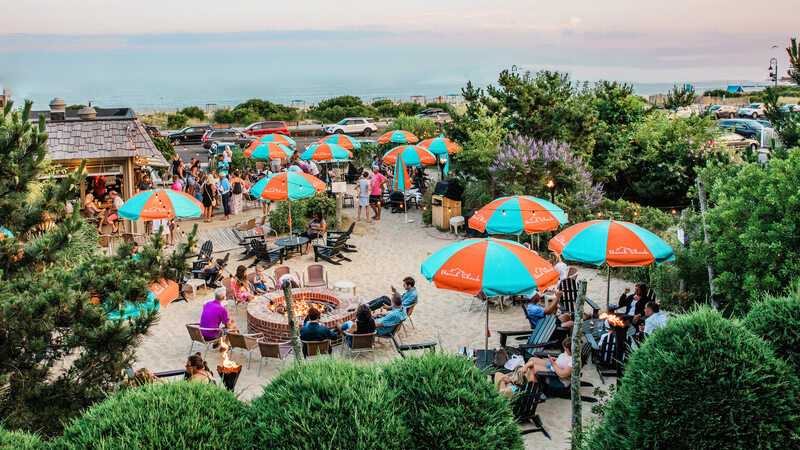 Enjoy live entertainment, artisanal cocktails, beer on tap, and incredible brick-oven pizza baked with ingredients from Beach Plum Farm. 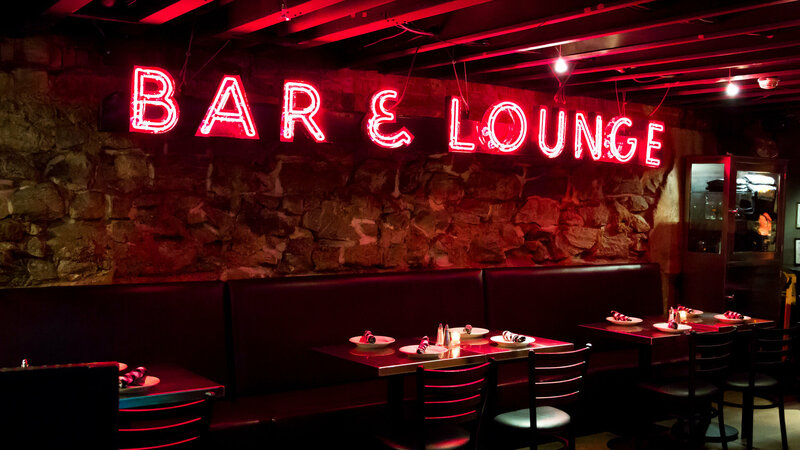 With its brick walls, brushed steel bar and bright red neon sign, the industrial atmosphere of the Boiler Room has a urban vibe uncommon in the Victorian world of Cape May. 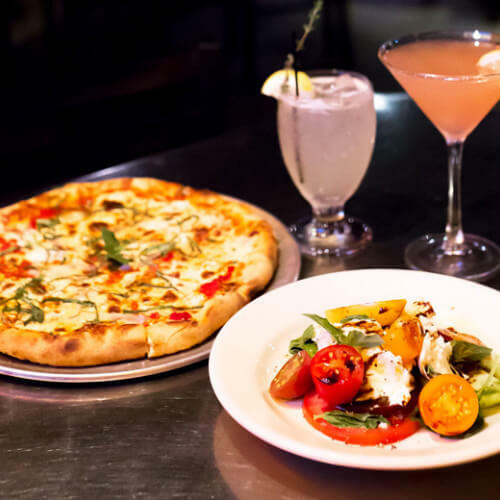 Order your drinks and grab a pizza for the table before you hit the dance floor. 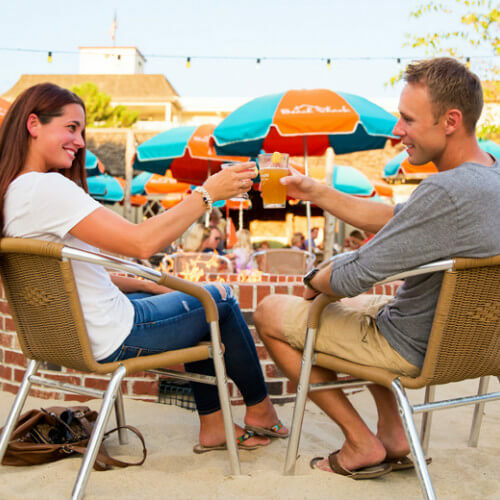 No trip to Cape May is complete without a night out at the Boiler Room. 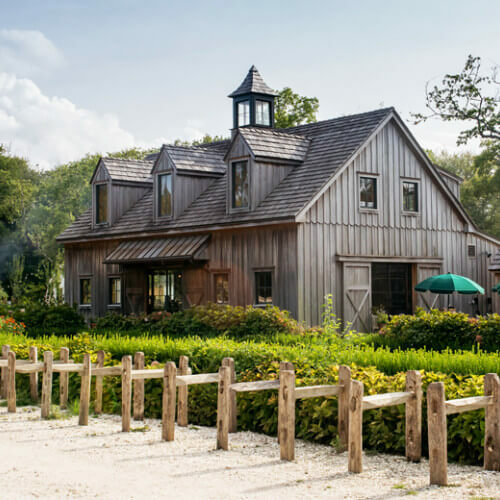 Tucked away in West Cape May, our 62-acre Beach Plum Farm grows over 100 varieties of fruits, vegetables, and herbs. 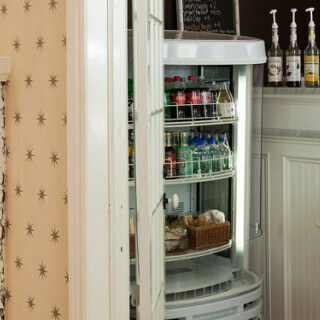 Join us for breakfast or lunch at the Kitchen and savor the bounty of the season. 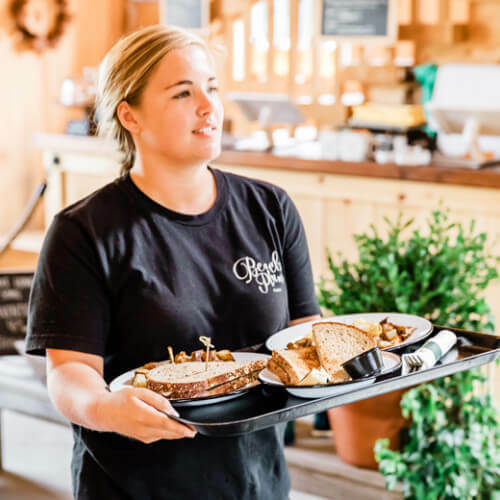 Fresh eggs, seasonal salads, delicious pulled Berkshire pork - the menu changes depending what's fresh in the fields that morning, which means you'll be surprised and delighted each time you visit. After you've finished up your meal, head into our Barn to browse two floors of farm-harvested produce, local artisanal treasures, and unique farm-inspired merchandise. "The Nail", as its own by locals, is truly one-of-a-kind. 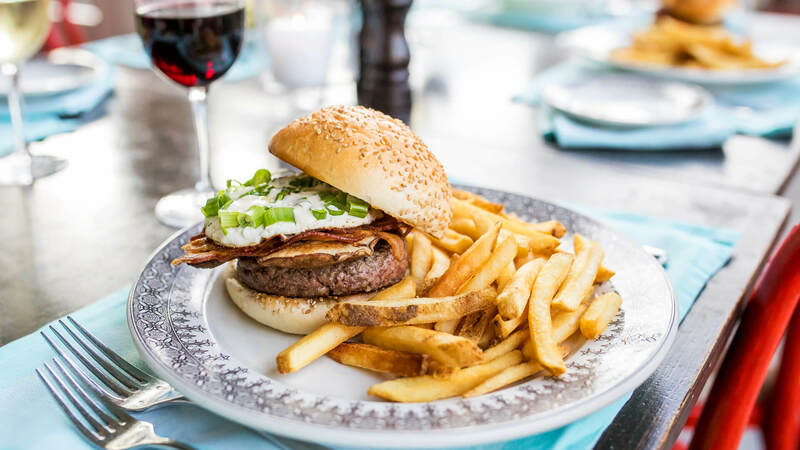 This iconic surfer bar and restaurant is located next to the Beach Shack and serves up tasty seaside favorites for breakfast, lunch and dinner. 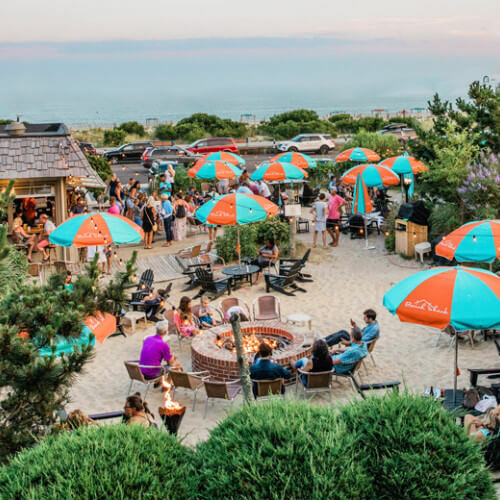 You won't want to miss staples like the fluffy buttermilk pancakes, boardwalk cones, fish tacos, or the Nail burger -- from the food on the grill to the drinks at the bar, the Nail's beach blanket menu can't be beat. 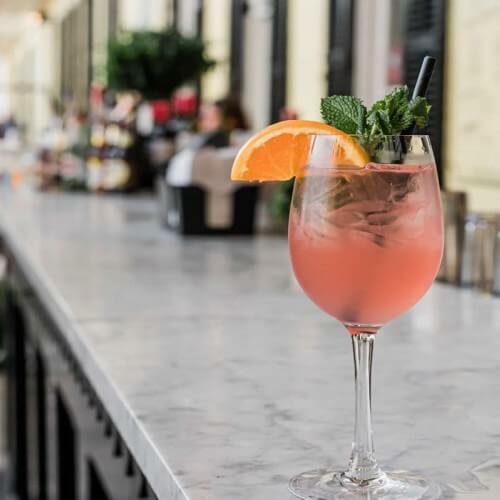 Perfect for the whole family, The Rusty Nail features indoor spaces that spill into outdoor seating, with a sandbar, fire pit and shuffleboard. 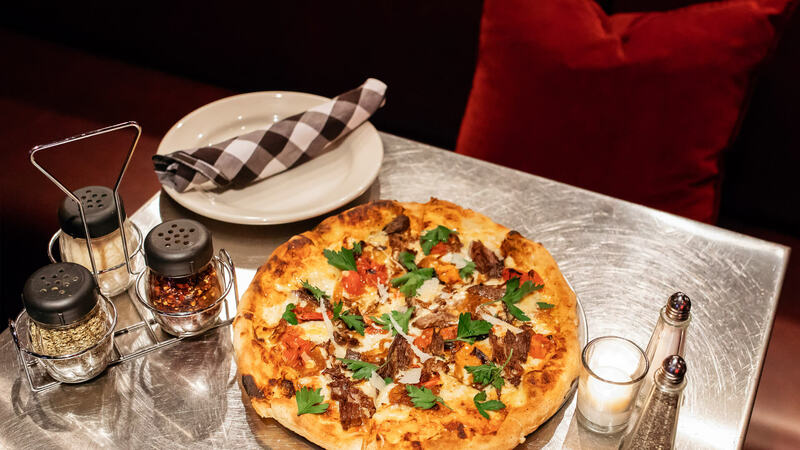 The restaurant is also pet-friendly — bring your four-legged friends to enjoy a treat off the doggie menu. 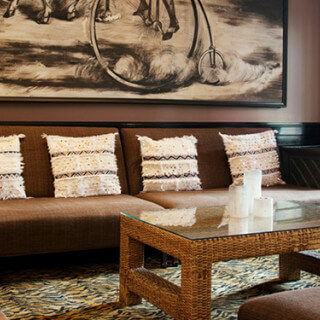 Spend a little time deep in one of the comfortable leather chairs enjoying the fire and gentle buzz of friendly conversation around you. 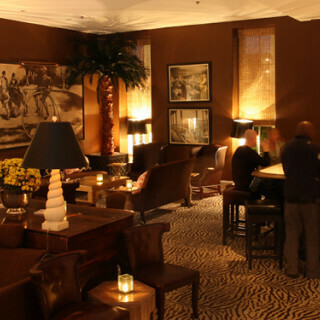 From the zebra skin carpet to the magnificent artwork and comfortable leather chairs, The Brown Room has an atmosphere unlike any other lounge in town. 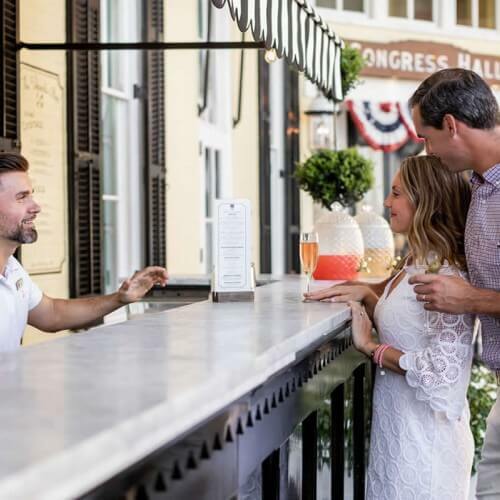 As the sun starts to set, step out the doors of Congress Hall onto our beautiful Veranda and choose a libation from our extensive list of farm-fresh cocktails. 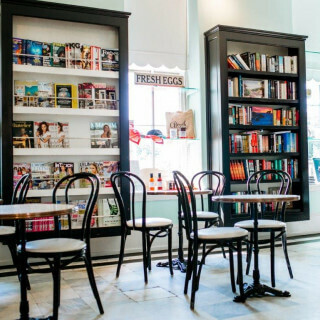 It’s the perfect place to order a drink as you enjoy twilight from a comfortable rocking chair. 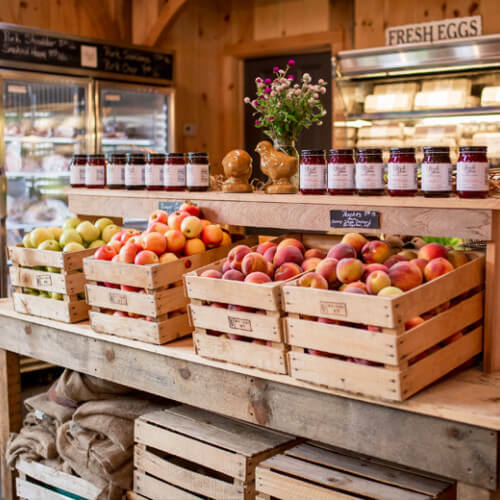 Our artisanal selection features ingredients delivered daily from Beach Plum Farm. Or, step out onto the patio and lounge at a table, a great spot to relax, catch up with friends, or simply take in the scene around you. 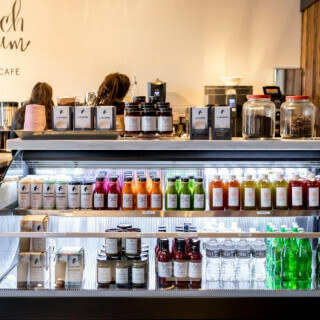 The Beach Plum Bakery and Café at West End Garage is serving fresh, farm-to-table pastries and bakery items along with La Colombe coffee drinks. The Bakery has quickly gained a following for its delicious doughnuts. 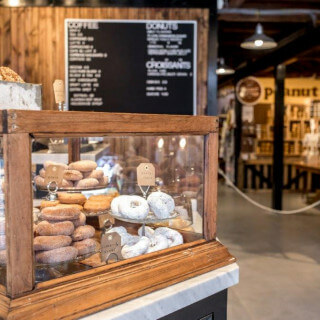 Yes, even the doughnuts are made using ingredients sourced two miles away at Beach Plum Farm. 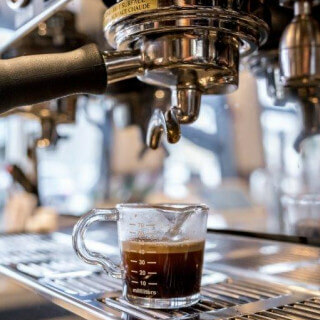 Refuel with the latte as you get lost in this cooperative of artisan food products, antique jewelry, local artists, gifts and more. 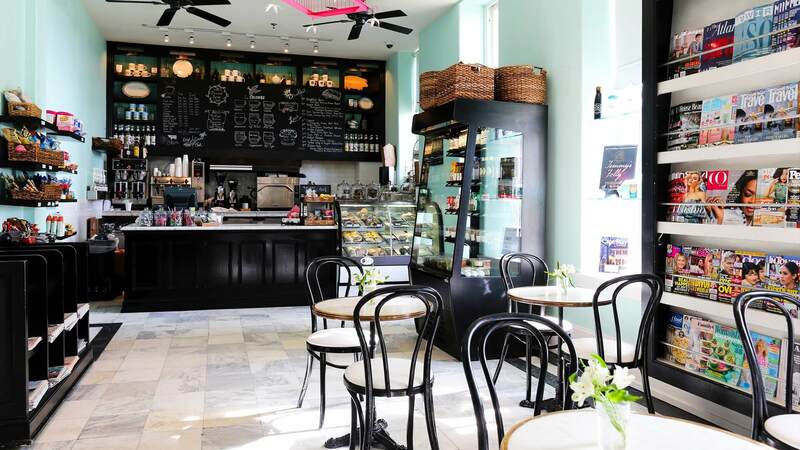 Perfect for breakfast or lunch on-the-go, Tommy's Folly Café features coffee and quick bites. 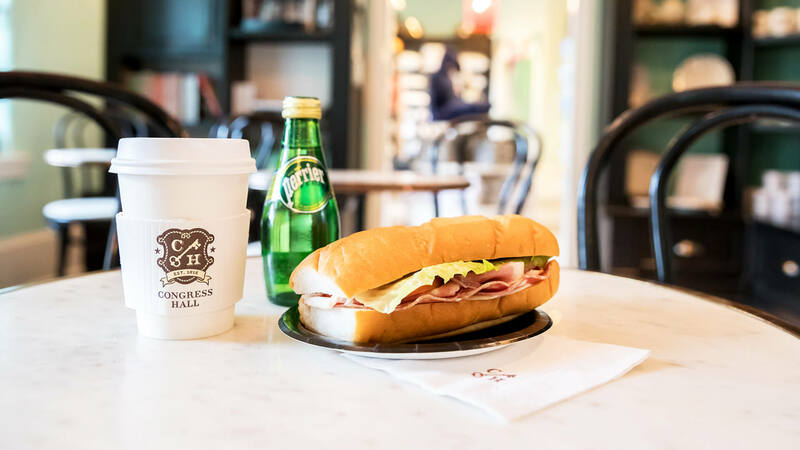 Enjoy a selection of cappuccino, latte and espresso drinks and an assortment of freshly baked breads, bagels, scones, cookie, breakfast paninis and lunch wraps. Just outside the café is our grand lawn, the perfect place to enjoy a snack as you look out on the grand lawn. Enjoy a hot cup of coffee and fresh pastry while watching the sun rise over the ocean. 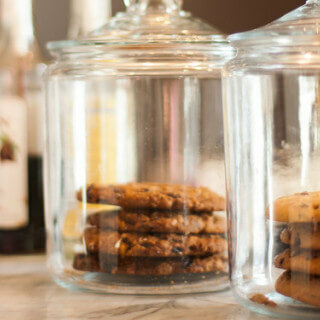 Delicious freshly baked cookies and pastries. 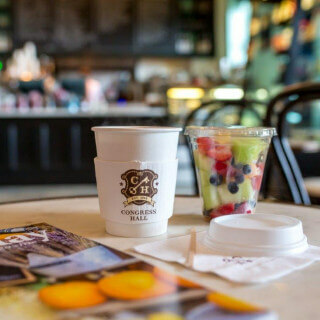 Grab a quick bite on the go or sit and savor tasty treats and fresh brewed La Colombe coffee.